Love runs wild at the Sagebrush Flats Zoo, where a motley crew of big-hearted animals helps the most unlikely couples find love. Katie is back home... in a place where she has a loving family, but also remembers the torment she endured when she was in school. While helping her dad after a shooting, she is the only one of her siblings that can take the time to help full-time. While she loves her family, she also has dreams bigger than her city has to offer. Bowie loves living and running the local zoo. However, despite loving it, it's struggling. Bowie also has a young daughter who he is trying his best to raise. When three baby cubs are brought to his zoo, he'll do everything he can to help them survive and he might find a little redemption along the way. Bowie and Katie's relationship is well developed. The history they share helps shape them as they are now and it really helped create their successful dynamic. They have quite a mountain to overcome, but with the help of loving parents, a pesky honey badger, and a sweet little girl, they eventually get there. I loved the voice of the honey badger! It was constantly hilarious, and I can't wait to see what happens next! 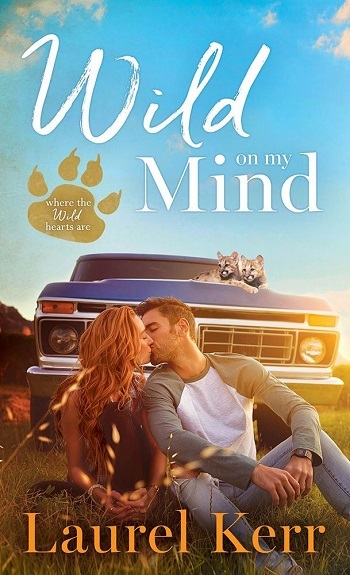 Reviewers on the Wicked Reads Review Team were provided a free copy of Wild on My Mind (Where the Wild Hearts Are #1) by Laurel Kerr to read and review.